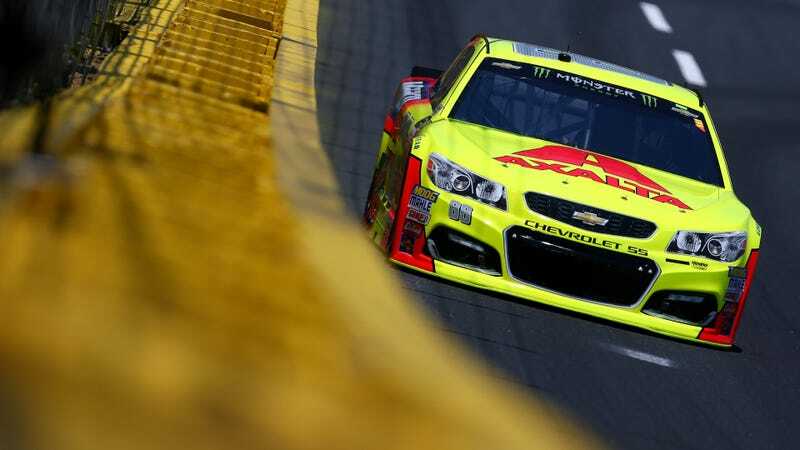 It’s time again for the NASCAR All-Star Race, in which drivers who qualify will race a wacky format—that usually stresses everyone, including the competitors, out—for $1 million. Hey, I’d be stressed for $1 million. Sounds like a good deal. But this year, the format looks even weirder than usual. In addition to the extra stages and eliminations, NASCAR will give teams the choice between the regular tire compound and a soft tire. If you’re not familiar with NASCAR, there usually isn’t any choice between tires. You get your Goodyears—the same ones, for everyone—and you go. If you’re looking for something less wacky, the Verizon IndyCar Series will qualify for the Indianapolis 500 this weekend. Drivers get an entire week to ponder their starting spots, and the big show will be next Sunday. The MotoGP World Championship will head to France for its race this weekend. And if you’re into being a MotoGP champion off the bike, the series will actually crown a video-game champion at its season finale this year. The fastest digital motorcycle rider on the new MotoGP video game, strangely, gets a car. The FIA Formula E Championship race from Paris and the ARCA Racing Series will be on this weekend, both on same-weekend delay. They’re listed under the “live” column because of that, if you’re looking for them. You can catch select parts of the FIA World Rally Championship event from Portugal via an online stream this weekend as well. Also streaming will be two different drag-racing events, one from Kentucky and the other from South Carolina, and the Super GT race from Autopolis circuit in Japan. Stream links can be found on the schedule below.